Convenience location. Spacious rooms. Full range of services. Attentive hospitality. 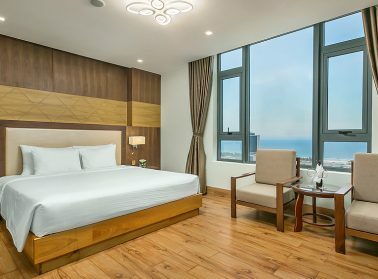 Nhu Minh Plaza Danang Hotel is located on Pham Van Dong street connecting Da Nang’s most popular My Khe beach and the city centre. 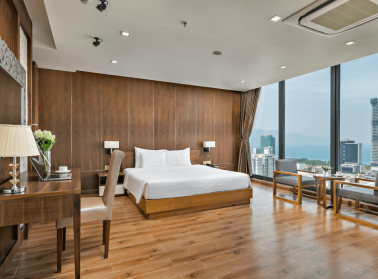 With lush tropical ocean view and spectacular city and river view from high floor, guests will delight in a plush haven of comfort whether visiting for business or pleasure. 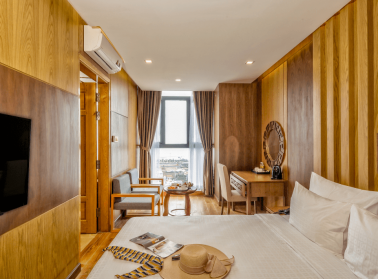 Our mix of facilities with highlights of OAK Spa & Nails, Fitness Centre, indoor Pool, Kids’ Club make Nhu Minh Plaza Danang Hotel the most ideal choice for your next Danang vacation. 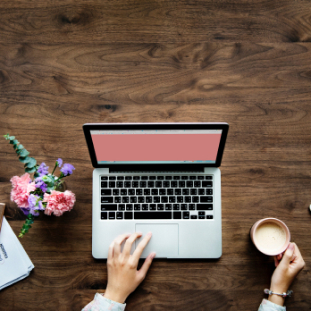 Event facilities combined with modern working spaces provide business travellers a perfect reason to book the hotel for productive business stay. 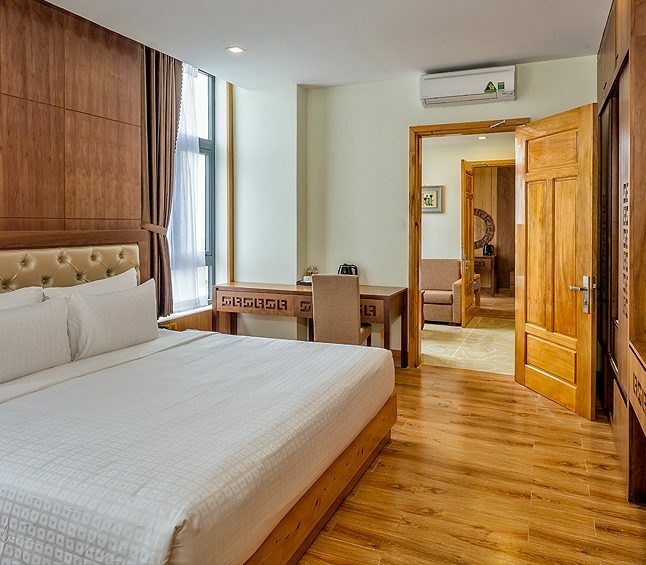 Whether visiting for business or pleasure, you’ll be comfortable and relax here at Nhu Minh Plaza Danang Hotel. 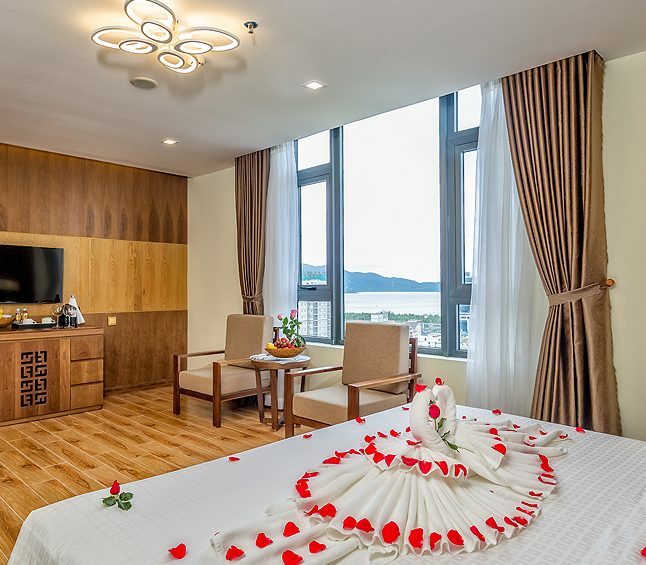 As one of guest’s best choices of 4 star Da Nang hotels near the beach, our Guest Rooms offer tropical mountain, city and ocean views, comfortable beds, all-white bed linens, fluffiest towels and other thoughtful touches to make your stay so good that promise another comeback! 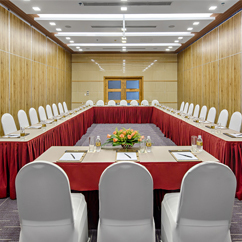 Our business guests can take advantage of exceptional facilities including of seven meeting rooms suitable for different types of gathering. 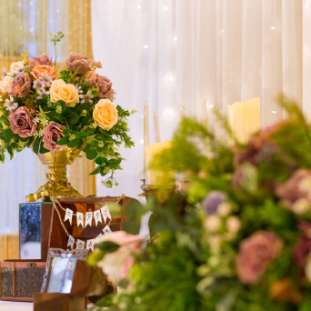 Wedding venues with romantic settings and decorative can cater up to 320 attendees. 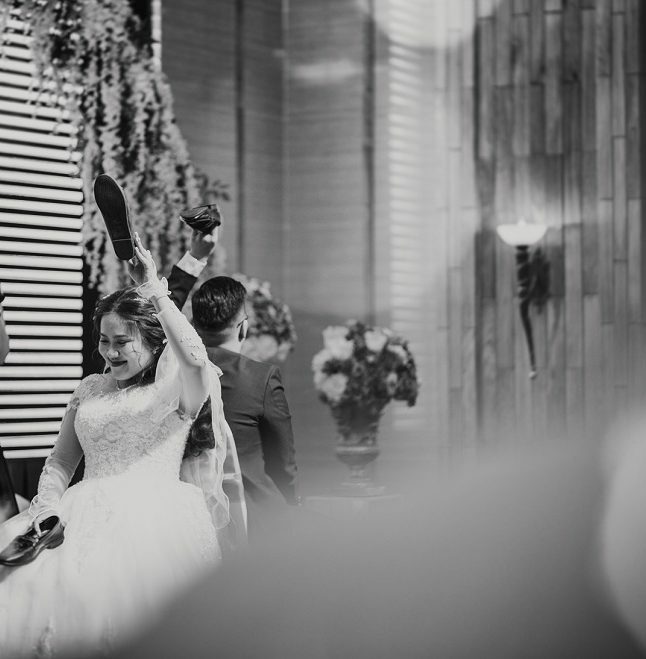 All are equipped with the latest audio-visual technology. 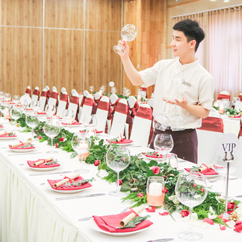 Catering services at Nhu Minh Plaza Danang Hotel bring guests to the next level of bespoke and outstanding events. 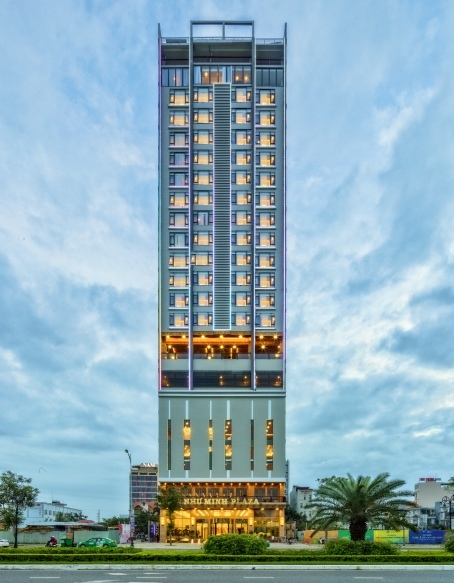 High season: VND 7,950,000 (01/06/2019 - 31/08/2019). 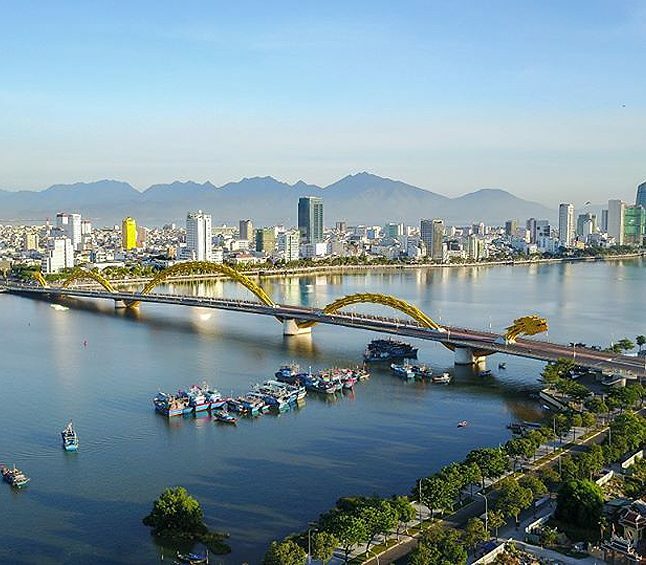 High season: VND 7,400,000 (01/06/2019 - 31/08/2019). 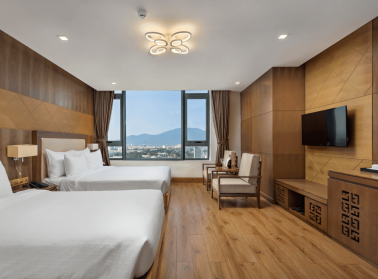 High season: VND 4,550,000 (01/06/2019 – 31/08/2019). 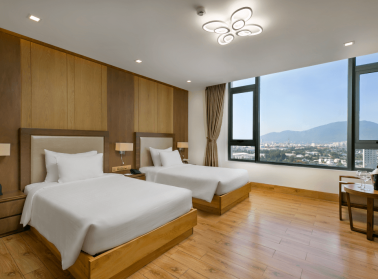 High season: VND 5,150,000 (01/06/2019 - 31/08/2019). If you have any questions, feel free to send us an email using this contact form. 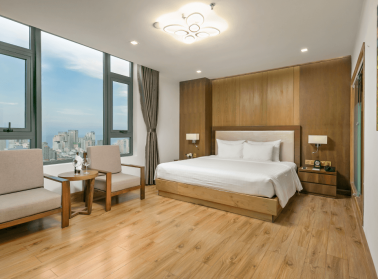 Book direct with us 15 days in advance to receive 30% room rate from VND 1,330,000. Subscribe and be the first to know our latest packages, news and events.